Renovating your home interior should not be a stressful task. There are many ideas from interior design experts sprawled online where you can get inspirations from. Choosing which one you like from the countless designs can prove to be the harder job. We all know that renovating is usually an expensive venture. It may cost you a fortune if you do not have a sound and specific plan. Updating your interior design is actually a doable project on a budget. 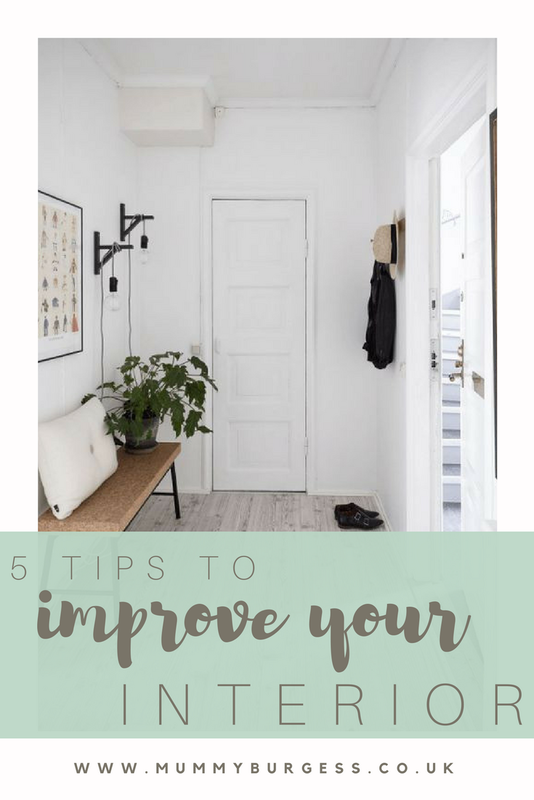 Here are five simple tips to guide you in creating a fresh and new look for your indoor space without spending too much. 1. Paint your walls with a new colour. Painting your walls a different colour will bring a big impact to your room renovation. It sets another mood to your room, from what you have been accustomed to, depending on the colour you choose. This idea is a cost-effective solution because you do not need to shell out a lot of money to create a different look for your room even using the same furniture. Trying on a different layout creates a great transformation to a room at zero expense. Simply rearranging your furniture pieces such as the sofa or the bed against a different wall gives the room a different perspective. Just make sure you have enough strength or ask help to move the furniture around the room to achieve the change you have been envisioning. 3. Modify the room’s aura by using wallpaper. You can change the aura of a room by incorporating wallpaper. Just like repainting with a different colour, putting up wallpapers can create a significant impact on a place without shelling out too much. You can make a room look formal by choosing a formal pattern. You do not need to cover all the walls with wallpaper to change the feel of the room. You can try putting up wallpaper to a single wall as an accent wall to the room that way you do not need to buy rolls and rolls of wallpaper to give your room a different look and feel. 4. Change your throw pillow covers. Changing the look of your throw pillows can be eye-candy to your room. You need not change the throw pillows themselves, just change the covers to give accent to your room and create a cosier place. Throw pillow covers do not cost that much and are easy to match with the theme that you want for your room. Choose the designs and colours that match your wall paint or furniture. Or better yet, mismatch the throw pillow covers to the colour scheme to make them stand out but should still look pleasing to the eyes. 5. Mix and match colours of your wall frames. Like putting up pictures on the walls? You can modify your room by mixing and matching the colours of the wall frames that hold them. If you like the wood frames, try buying a variety of colours, textures, and sizes of wood frames. You can also mix and match metallic frames such as copper, gold, and silver for a more interesting look. Arrange your frames in such a way that it accents your wall as well as serve its purpose of holding your printed precious moments. The five tips mentioned above are easy solutions of re-designing your interiors with a little spending or none at all. You only need a tad of creativity, strength, and will to do it and you can enjoy the whole new look of your indoor space with a little tweak of your old things and minimal resources.